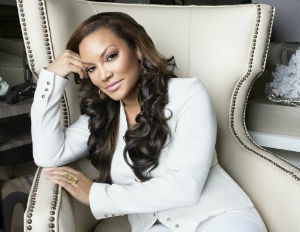 You may remember Egypt Sherrod as one of the hottest, most sought after radio personalities, but things have since changed. Yes, she’s still hot and sought after, but now her territory is real estate. Â In addition to being an award-winning realtor, Sherrod is the host of HGTV’s all newÂ Flipping VirginsÂ and it’s top-rated show, Property Virgins, and let’s not exclude author of the NAACP Image Award nominated Keep Calm…It’s Just Real Estate: Your No-Stress Guide To Buying A Home,Â which became a bestseller. On top of all of this, she’s a wife and mom. How does she do it? BlackEnterprise.com had no clue, so we reached out to find out. Peep her insight. BlackEnteprise.com: You’re widely known as a radio personality. What was the catalyst for your move to Atlanta, Georgia, and transition into real estate full-time? Sherrod: Yes. I was a radio personality for almost 20 years, but I was simultaneously a realtor and real estate investor as well. I loved both industries. One allowed me to work for myself, while the other, as rewarding as it was, became a shrinking industry where salaries were shrinking as well. When I was pregnant with my daughter, my husband and I decided we wanted to escape the fast pace of New York, and Atlanta offered more of a work-life balance. The real estate industry was also on a faster resurgence than many other states because of the population influx. So, it was a great time to transition into my next chapter. What major adaptations have you had to make as an entrepreneur for the sake of family? Well the common thought is that if you work for yourself, life will be easier. Also, that being your own boss will allow you to work less. That is FALSE. I actually find myself working longer hours. Also, you have to get used to footing the health insurance bill. What do you know now as an entrepreneur, that you wish you would’ve known 10 years ago? If I could talk to myself 10 years ago I would have said: FEAR is False Evidence Appearing Real. You have all the tools you need to be successful NOW! I would have also told myself to take more risks… calculated risks. If there is one thing you could alter about the current state of your work/life (family) balance what would it be? I would add two more days in each week, because 7 days is just not enough to get everything done! If you could offer any sound advice to a new mother who also is on the brink of a new business venture, what would you say? I would say remember to take time out for yourself to recharge. It’s super important that you stay healthy so that you can fire on all pistons. I would also hug her and tell her not to feel guilty about working a lot. The goal is to provide a better life for your family and for your child in the long run. So give yourself a break on the guilt. Gain more insight on Sherrod’s life as a ‘mompreneur’ at the 2016 Black Enterprise Entrepreneurs Summit, May 4—7, Loews Hotel Miami, Miami, Florida.Â Register now.